In 2009, the South African government announced a major energy plan to construct two new coal-fired power stations. The project, which aimed at building the world’s largest coal plants, came under intense criticism by various governments and climate activists, who saw it as a disastrous blow to the fight against climate change. Yet newly released emails from presidential candidate Hillary Clinton during her time as Secretary of State, reveal that she acted in support of a World Bank loan for the construction of one of the plants. Furthermore, a DeSmog investigation finds that the other plant, which received funding from a US government agency led by a close Clinton ally and fundraiser, is being built by an American construction firm tied to another associate of the former Secretary. These actions seem contrary to Clinton’s tough campaign talk on curbing CO2 emissions and investing in renewable energy. They also raise new questions about Clinton’s ties to the revolving door lobbying culture that connects major corporations to top officials in Washington, DC. Following a series of blackouts in 2008 and fears of system incapacity for the upcoming 2010 World Cup, South Africa unveiled in 2009 a plan to increase power generation. Through its state-owned utility, Eskom, the government planned to construct two massive coal-fired power plants. Located only 50 miles apart in the country’s northeast, the plants – named Medupi and Kusile – were set to each emit a staggering 25 million tons of CO2 into the atmosphere a year. To help finance the Medupi plant, the South African government turned to The World Bank, requesting a $3.5 billion loan. The loan application, coming around the time of the COP15 Copenhagen climate summit, generated an outcry from governments and activists in South Africa and beyond. To counter the backlash, South Africa lobbied World Bank officials and sought to gain the support of the US government. A series of diplomatic cables from then-US ambassador to South Africa to Washington reveal a number of quiet efforts to persuade the US government to support the loan. The cables, released by Wikileaks, were written in the latter part of 2009 and early 2010, leading up to the decisive vote on the loan in April 2010. In the cables, Ambassador Donald Gips provided the State Department with background information on the energy project and outlined some of the major environmental and economic concerns surrounding the project. Gips stated that he met with the World Bank team in South Africa, who confidentially shared with him the specifics of the government’s plan. Gips asked that this detail be “protected” by recipients of the cable. In another cable, Gips discussed a South African government-sponsored tour of the Medupi site for foreign diplomats, which included the US embassy’s Deputy Chief of Mission. A month later, Gips met with Eskom’s acting Chairperson, Mpho Makwana. In late March 2010, only days before the crucial vote at the World Bank, lobbying efforts by the South African government intensified. According to newly released Clinton emails, the South African foreign minister contacted the State Department requesting to speak with the Secretary on the phone. The emails state that the minister was specifically seeking the US government’s “support” for the loan. An email chain ensued involving Clinton, several of her close aides, and a number of high-ranking officials. It culminated with Clinton speaking with the foreign minister the following day. Though parts of the email chain were redacted, it is still possible to make out some important points. On March 31st, 2011, Johnnie Carson, Assistant Secretary of State for African Affairs, first sent a message to Jacob Sullivan, Clinton’s Deputy Chief of Staff, relaying the request from the South African Foreign Minister, Maite Nkoana-Mashabane. After some back-and-forth between Carson, Sullivan and Huma Abedin, another close Clinton aide, on the scheduling of the call, Sullivan told Abedin he has spoken to US Ambassador Gips. Sullivan reported heavy “traffic” at the embassy, meaning a large volume of communication between the US and the South African government, saying that the embassy’s Deputy Chief of Mission, Helen La Line, has been “frenetically engaged with the South African MFA [Ministry of Foreign Affairs].” Sullivan added, “Hormats and Lew are negotiating with the Treasury,” referring to Robert Hormats, then Under Secretary of State for Economic, Business, and Agricultural Affairs, and Jack Lew, at the time Deputy Secretary of State for Management and Resources. Two hours later, Clinton wrote to Sullivan again, updating that she has now talked to South Africa’s Foreign Minister. Clinton said: “she made the point that Zuma [several words then redacted] and they intend to use variety of energy sources in the future but this project is essential to deliver electricity – which I think our experts agree is right.” [Emphasis added].“Zuma,” of course, is Jacob Zuma, the President of South Africa. The closing sentence of the message is redacted. Seven days later, The World Bank approved the huge loan. The United States, along with the UK and Holland, abstained during the vote. Climate activists blasted the Work Bank for the loan, but many also criticized the US for abstaining rather than trying to block the decision. 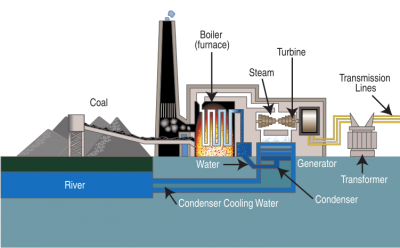 To construct the Kusile coal plant, South Africa sought a different funding route, now eyeing private capital. To this end, in 2010 Eskom solicited its main contractor for the plant, Kansas City-based infrastructure engineering and construction company Black & Veatch to apply for financing from the US Export-Import Bank (Ex-Im Bank). As an independent government agency, the bank invests in projects that guarantee the employment of American workers and suppliers. In April 2011, the Ex-Im Bank approved the $850 million loan for the Kusile plant — again to the great dismay of environmentalists. The decision came despite more than 7,500 public comments in opposition to the project. Activists were baffled as to why the governmental bank approved the loan for the controversial project. One of Black & Veatch’s directors, Harold (“H.P.”) Goldfield, wears several other important hats. A veteran Washington insider, Goldfield is a former Reagan-era administrator and ex-director at the Ex-Im Bank. He is currently the vice chair of Albright Stonebridge, the lobbying and advising firm of longtime Clintonite and former Secretary of State, Madeleine Albright. Goldfield is also a Senior International Affairs Advisor at the international law firm Hogan Lovells. One of the firm’s Partners, Howard Topaz, is Bill and Hillary Clinton’s personal tax advisor. Seven months after the Ex-Im Bank approved Black & Veatch’s financing for the project, Hillary Clinton attended an exclusive 60th birthday party thrown for H.P. Goldfield at the posh Hamptons home of investor George Hornig. In a photo from the party Clinton is seen in extremely good spirits, glowingly hugging a group that included Goldfield and former US ambassador and State Department official, Richard Haass. During the time Ex-Im Bank considered Black & Veatch’s request, Madeleine Albright’s daughter, Alice Albright, served as the bank’s Executive Vice President and Chief Operating Officer. The released Clinton emails show that at the time the bank was considering the Kusile loan, Clinton and Madeleine Albright maintained a close relationship. According to an email from December 2011, Clinton and Albright met again, this time in Prague. Albright wrote, “Happy to help on whatever you need wherever and whenever.” Six months later, Clinton’s schedule reveals she attended Madeleine Albright’s 75th birthday party at Alice Albright’s house. Since the approval of the coal plants, several figures involved in the matter landed positions at Albright Stonebrige. Upon retiring form the Foreign Service in 2013, former Ambassador Don Gips was hired as Senior Counselor. Former State Department official Johnnie Carson, who was part of the Clinton team during South Africa’s lobbying for the World Bank loan, also became Senior Counselor for the firm. The Ex-Im Bank is headed by Fred Hochberg, a longtime Clinton family associate, financial contributor, and campaign bundler. Hochberg’s partner, Tom Healy, was nominated during Clinton’s tenure as Secretary to the Fulbright Foreign Scholarship Board, a State Department body. Between 2012-2014 Healy served as Chair of the Board. Hillary’s emails during these years reveal her close connection to both Hochberg and Healy. In February 2012, one of Clinton’s daily schedules includes attending Hochberg’s 60th birthday party at the upscale DC dining spot, Sidra’s Home Restaurant. In 2014, The Ex-Im Bank announced the appointment of new members to its Sub-Saharan Africa Advisory Committee. Former ambassador Gips, and Shahid Qadri, Black & Veatch’s Vice President and Regional Director Africa, were among them. Two years ago, Mother Jones revealed how under Clinton, the State Department exported oil and gas fracking technologies to the rest of the world. It’s clear that Clinton’s policy toward coal, the dirtiest of fossil fuels, requires similar scrutiny.